Do not feel too bad if you have never heard of a Steller’s Sea Cow. The species died out couple of hundred years ago. The way it exited our world, however, is a sad page in the development of environmental awareness. The tale is taken from the pages of Russian history. We took interest in the story because we see manatees here on the Florida West Coast on a regular basis. The beloved animals draw tourists at a remarkable rate. An unconfirmed rumor states that each manatee is rated at being worth about 50k to the local economy. 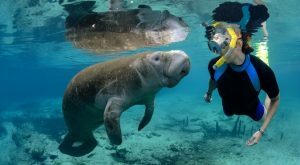 To learn that a titan among manatees died out not so long ago is of great interest to us in Florida. 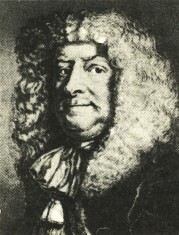 In 1741, the Russian government of Peter I commissioned an expedition led by Vitus Bering to explore a route from Russia over to the recently discovered America’s. The first venture occurred in 1725, starting with pushing across eastern Russian to the Kamchatka Peninsula, then an unknown wilderness area. The land route alone was a feat in those days. Bering then explored the ocean regions and nearby islands and found indications that land did indeed exist to the east, suspected to the be the Americas. After wintering in the northern wilderness of Kamchatka, Bering ended the mission and returned to St Petersburg, Russia. Bering proposed another venture some years later, to complete his mission of finding the American coastline. The government, enthusiastic for the mission, loaded it full with military, laborers, and scientists. It is one of those scientists who was credited for the discovery of the until-then-unknown sea cow that lived in the northern seas between Russia and the Americas. Bering’s mission was successful. In 1740 and 1741, he charted many islands and the northern most parts of the eastern shoreline of Russia. He also made it to the then-unknown land that would later become Alaska. He charted the future state’s shoreline all the way down to what is now the bottom of present day Alaska panhandle. Unfortunately for Bering, the conditions of the norther wilderness of East Russia and Alaska were very harsh. The storms at sea were intense, the weather cold, and the mosquitoes utterly merciless. Scurvy swept through the crew. Bering fell ill himself, his health declining sharply as winter set in. The ship landed on an island, only to be destroyed by weather conditions. Stranded on the island, the men were forced to survive as best they could. One of the sources of food they discovered was a very large manatee-like creature that lived around the island. George Wilhelm Steller, a naturalist on board Bering’s ship is credited with the scientific discovery of the new species. To survive, the crew hunted the large sea cows, their length an unprecedented 30 feet long! Remarkably resistant to piercing by the harpoons of the crew, a sea cow was drawn into the shallows and killed. To the surprise of the crew, using a small boat for their task, the sea cows rammed their craft and followed the stricken sea cow into shore. A lone sea cow, presumably its mate, returned to shore to check on the carcass for days after it was killed. Drawing were made of the new creature before it was processed for food. The much-needed sustenance took the crew through the harsh North Pacific winter on the desolate, treeless island. The meat was considered delicious and the fat melted easily and burned cleanly in lanterns. Those traits spelled doom for the newly discovered species. Captain Bering did not last through the winter. He died in December of 1741 and was buried on the island. The expedition was rescued and taken back to Russia. Stellar’s reports were largely destroyed on the journey but many survived, enough to inform the Russians that a remarkable food source existed on the route to the Americas. Stellar reported approximately two thousand of the large lumbering beasts surrounding the island. What he didn’t know is that it was the last rallying of a species that was already on its way toward extinction. The island where Bering died was later named Bering Island. The sea he explored also now bears his name. The newly discovered sea cow, along with quite a few other species, were named after Stellar. Fossil evidence suggests the Stellar’s sea cow is most related to the modern day dugong of the South Pacific and Indian Ocean. It also suggests the species ranged from southern California up through Alaska in its peak. No other reports of the creatures exist other than Stellar’s, suggesting that those surrounding Bering Island were the very last of their species. Bering’s charts informed fur traders and sailors the route to the Americas and Setllar’s reports described that perfect food sources existed along the way, particularly surrounding Bering Island. 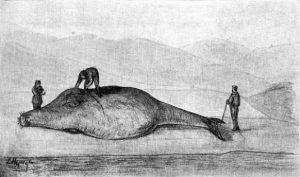 The passing ships harvested the slow moving, defenseless sea cows until, in 1768, when the last reported killing of a Stellar’s Sea Cow occurred. The remaining vestige of a once wide-ranging species had been hunted to extinction in just 17 years.